The Kingdom of Bahrain – or just Bahrain – is that magic place on the Earth where supercar dreams do come true. The third-smallest nation in Asia measured by the population is home to some of the most exclusive exotic car collections and some of the most exciting supercar track events and clubs. 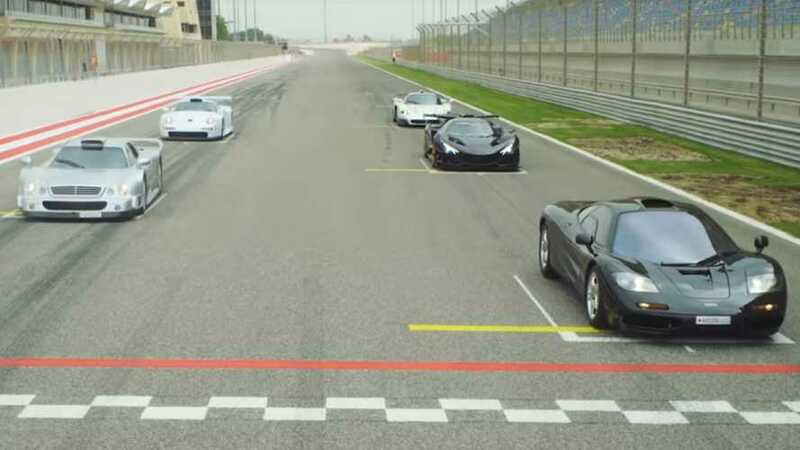 Like this one – the Supercars Club Arabia which was recently joined by the folks at the Lovecars channel on YouTube for some epic fun. We are sure you are probably more familiar with the F1, CLK GTR, MC12, and 993 GT1 than with the Apollo Intensa Emozione so we’ll just remind you it’s one helluva track beast. Under the hood is a 6.3-liter V12 generating 780 horsepower (581 kilowatts) and 560 pound-feet (758 Newton-meters) of torque. The alien spaceship goes from 0 to 62 miles per hour (0-100 kilometers per hour) in just 2.7 seconds, while top speed is 207 mph (333 kph).